First, I shortened it to knee length, then took it in at the side seams. I had to keep it loose, because I want to be able to pull it on – no zippers! It was still a bit unflattering, though, so I used the piece I cut off to make some ties and inserted them into the side seams. I thought I was done, but it still looked kind of matronly. Next move, drop front and back necklines, and armholes, and add some black knit trim……………now, I’m done! …except for the after pic..must get on that! 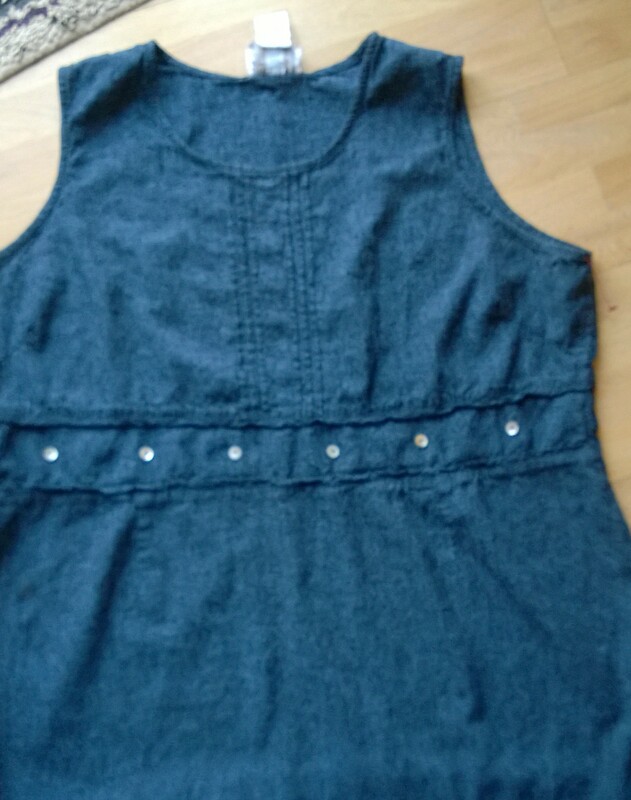 Posted in Uncategorized and tagged dress refashion, dress upcycle. Bookmark the permalink.